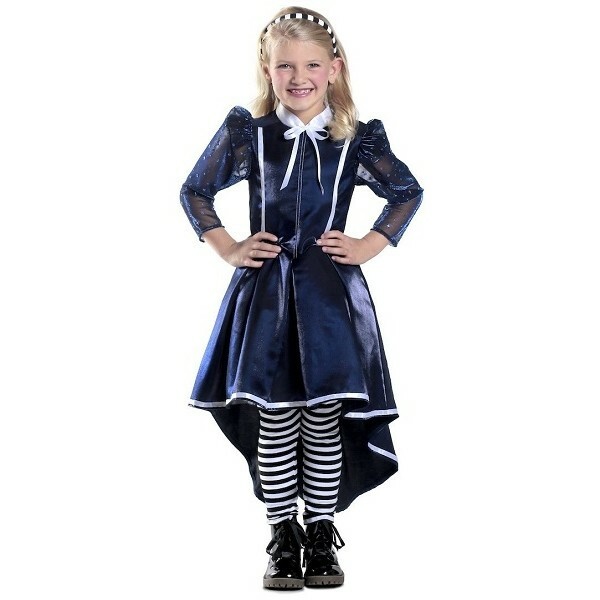 .Give Alice in Wonderland a modern take with this dark blue costume from Princess Paradise! This high-quality dress costume has a hi-lo hem, making it easy to walk in, and features sheer sleeves and ribbon trim. A set of striped leggings and a matching headband complete the effect.